One of the popular professional football Player is Joao Filipe Iria Santos Moutinho popularly known as Joao Mountinho who plays for Portugal National Team. He is well known celebrity. He is famous for contribution in professional life. He is best at Midfielder position. Currently, he is playing in Monaco. He had played for Sporting Cp. His Shirt number is 8. He is representing himself in Russia for the World Cup 2018 as a part of the Portugal team by showing his talent to all. 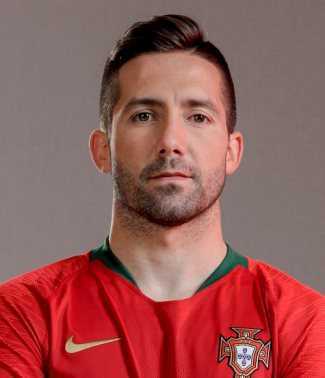 Passionate and enthusiastic player, Joao Filipe Iria Santos Moutinho was born on 8th September, 1986. He was born and raised in Barreiro, city of Portugal. His nationality is Portuguese. His sun sign is Virgo and he belongs to White ethnicity. At the early age of 10, Moutinho began his football career. Talking about his body, his height is 1.70 m. His weight is of 61 Kg. He has balanced body with good health. In Sporting CP, his name was enlisted into the senior squad by manager Jose Peseiro and showed his talent to all. Later, he returned to the team B coached by Paulo Bento. In the Primeira Liga, he made his debut on 23rd January 2005 with the winning score of 3-0 victory at Gil Vicente F.C. Overall, he played total 163 games including 30 appearances from B team and by scoring 22 goals for the club, Sporting CP. Moutinho shifted from Sporting CP to Porto by signing a five year contract with transfer fee of €11 million on 3rd July 2010. In this club, he made over 83 appearances overall and scored 4 goals by playing for 3 seasons. He gave his great contrbution in this club. Moutinho signed with AS Monaco FC on 24th May 2013 with fee of €70 million. He made his debut on 1st September against Olympique de Marseille, with the winning score of 2-1, which led Monaco to the top of League 1. In this club, he made 136 appearances with 3 goals in total. Joao Moutinho represented himself in his national country, Portugal in both senior as well as junior levels in many tournaments. He was also part of Portugal U-17, U-18, U19, U21, and B national team. He made his very first international debut with the winning score of 2-0 in a friendly match against Egypt on 17th August 2005. On 31st May 2008, he made his very first goal for his national side in a 2-0 friendly win against Georgia. Also, on 16th June, he was named for the 2014 World Cup along with Cristiano Ronaldo, Pepe, and Andre Silva where he made his debut in the tournament in a 0-4 group stage loss to Germany. He has won 105 caps for his national side by scoring 7 goals. In 2007, Moutinho is married man with his high school girlfriend, Ana Sofia Gomes. They were blessed with two children named as Lara Mountinho in 2010 and Victoria Mountinho, 2015. They seem to be very happy with each other. The couple makes public appearances together often. There is no any sign of Separation between them. They are living peacefully. The net worth of Mountinho is estimated to have $9 Million in 2018. In 2017, he is receiving $90,546 as his weekly salary and he is receiving an annual salary of $4.7 million from his present club. Moutinho’s current market value is $15.53 million. He owns a house in Portimao, Portugal.